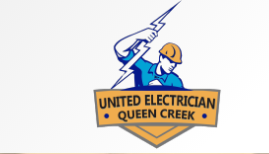 United Electrician Queen Creek provides electrical installation in Queen Creek, AZ. Contact our skilled electrician in local area of Queen Creek to make your electric service affordable one. United Electrician Queen Creek service industrial, industrial and residential customers for all types of electrical requirement. Call us on (480) 478-0563 today for emergency service.